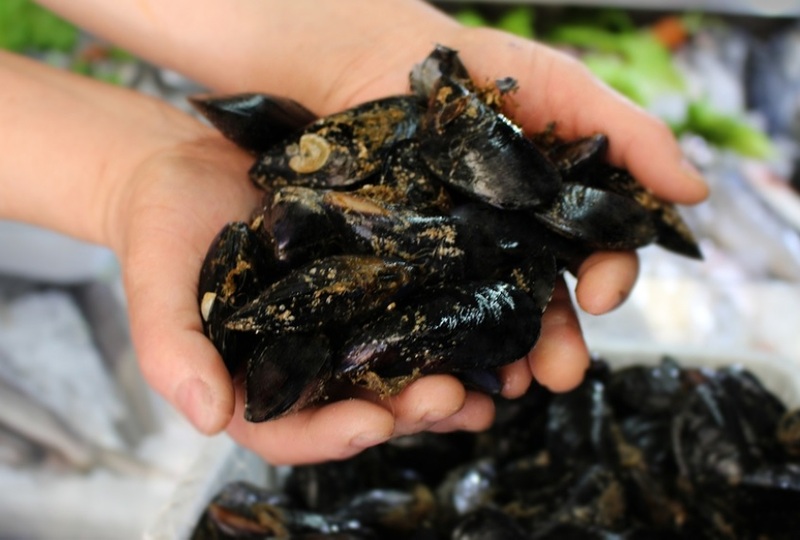 Albanian mussels are safe and within the consumer standards. Deputy Minister of Agriculture and Rural Development, Roland Kristo, told today to Albanian Telegraphic Agency that the monitoring results dated Aprill 27 confirm that the mussels produced in our country are within the standards and completely guarantee the safety consumption. "There is a rigorous program of controlling ones in two weeks the mussels parameters, which makes the realistic examination of this product. The latest results have confirmed that our mussels are completely clean and the passage in the Cleansing Center makes the mussels safe for consumption." said Kristo. Deputy Minister emphasized that is working on heavily for the unification according to the European Union standards throughout the chain of mussels production, in order for this product to be exported in foreign markets. Policies for the safe production and marketing of products, according to food safety standards, which have already included the livestock sector throughout the country, will also extend to the mussels production sector. "Mussels can no longer be sold with plastic containers or other circumstantial means. Will be provided with veterinary certificates and packings conforming to trading standards, "said Kristo. In the aquaculture industry, mussels are considered to be of great value to the country's economy. Albania has two main points for producing mussels - one in Butrint and the other in Shengjin, Lezha. The cultivation of mussels in Shengjin is in its first steps, with a production that reaches approximately 500 tons per year. The production of mussels in Butrint Lagoon is a multi-year tradition, while locals consider the lagoon as the ideal place for mussels production not only in terms of water temperature but also of the right salt level. Butrint Lake, with an area of about 1,600 hectares, currently counts some 78 mussels plants. The annual production of Butrint's mussels goes from 2,5000 to 5,000 tons per year, that goes mainly to the domestic market. For 20 years, Butrint's mussel has been blocked by the European market due to claims on breeding criteria. Therefore, all ministry efforts are now geared towards turning mussels into a standardized product for the foreign market. Quite demanded by local and foreign consumers, their export is expected to turn Butrint into the epicenter of mussels production across Europe, as Butrint has even greater potential.